Can anyone help me in identifying the specifics of this watch? I am new to the website and would be grateful for any direction. Thank you! First would be to determine the Year of Manufacture, this information can be found under the Information tab at the top of the page. Once the Date of manufacture is known then browse the vintage ads around that Year. The Watch is an ACCUTRON Series 214. 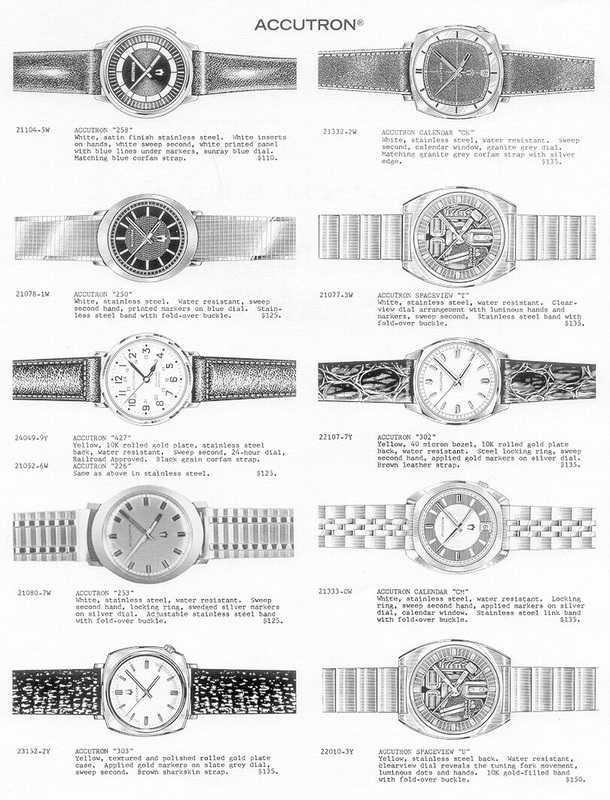 N1 entered in the Movement model field (which is a Bulova Datecode for Year of manufacture) suggests 1971. The Watch appears very similar to model #253 although the Dial variation from what is advertised would indicate a different model. I believe the Accutron "250" is what you are actually looking for. Talk about right under your nose eh? Wow, thank you so much everyone! I may consider selling it soon and this information will be helpful. A very nice Accutron "250". Looks in great condition. Case looks to be marked M8 for 1968. Thank you! Actually, it's N1--the picture is not the best. Agree with the 250 ID.